Michael de Vibe joins us to speak about a six year study of mindfulness. If you are listening to this podcast and find value and insights from what is shared here, know that this is made available from your generosity and the generosity of others like you. I want to thank those of you who are making monthly donations to keep this podcast going, and if you’re not yet, please take a moment, go to Present Moment Mindfulness.com, and click on Make a Donation. One time or especially monthly donations show you value this work which can’t happen without you. Thank you for your help, your support, and your kind generosity. One of the many challenges to doing good research involving human behavior is what the effects of a given intervention are over time. Is what’s being seen a long-term change, or just an indication of efficacy only while a given program is in progress? Longitudinal studies help to address this very question, and today’s guest has been involved with this problem, appropriately, for years. Michael de Vibe is a senior adviser at the Norwegian Center for the Health Services (Kunnskapssenteret). He is a medical doctor and a family therapist. He has an extensive background in general practice and family therapy and is a supervisor in family medicine. He has worked on quality improvement of health services since 1998. He has practiced mindfulness from his youth and took an MBSR instructor course at the CFM in 2002. He has developed and researched methods of mindfulness training and stress management, and has developed instructional material for this. He has taught this at college level since 2003 and held courses for many different health institutions. He has completed a Ph.D. studying mindfulness training for medical and psychology students in a two-centre randomized trial with long-term follow-up. 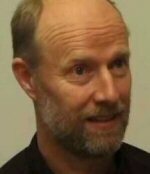 In 2007-8 he ran an instructor course for mindfulness teachers at a university hospital in the north of Norway.